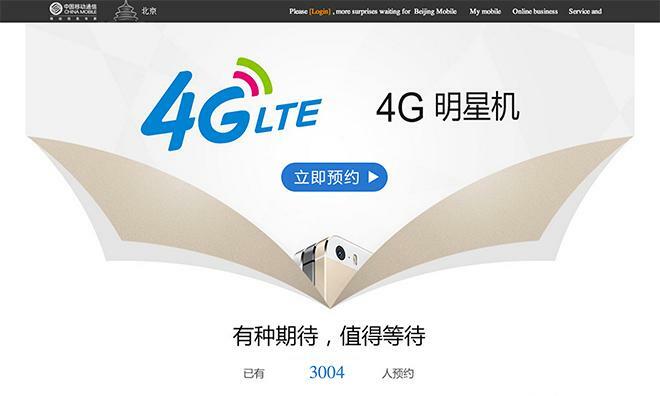 A page advertising reservations for China Mobile Beijing's 4G LTE service now features Apple's iPhone 5s, as well as a bejeweled golden apple, hinting that preorders for the popular device may be in the offing. While not conclusive evidence, the reservation page seen above, spotted by intrepid reader Jeffrey, strongly suggests China Mobile is about to kick off iPhone preorders. If the world's largest wireless provider does in fact initiate an iPhone reservation system in the next few hours, it would jibe with a Wall Street Journal report that claiming preorders would start on Thursday, Dec. 12. At the time of this writing, it is nearly 1 p.m. on Thursday in Beijing, China. The Journal further claimed the iPhone would officially roll out on Dec. 18, contradicting a prior statement from China Mobile denying it had reached a deal with Apple to sell the handset. The carrier has already posted multiple reservation webpages for its upcoming 4G LTE network, but so far only one has alluded to the iPhone. In early December, a Suzhou-based subsidiary posted a reservation page prominently featuring both the iPhone 5s and iPhone 5c. The link was quickly killed, but not before jumpstarting the media speculation machine.